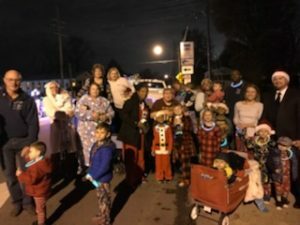 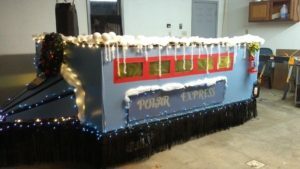 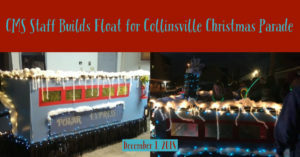 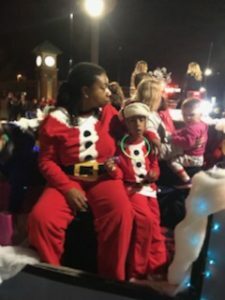 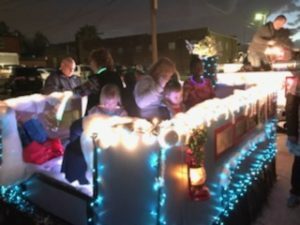 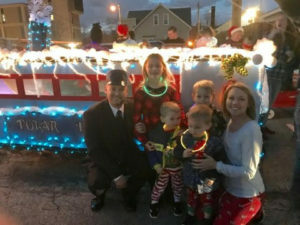 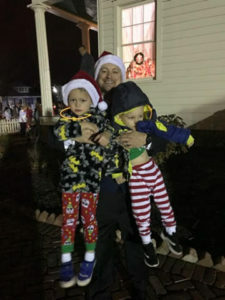 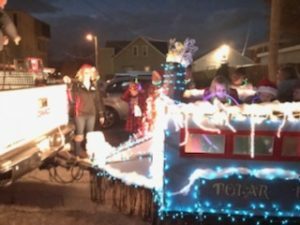 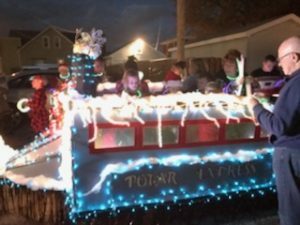 Collinsville Middle School staff created a float – and enlisted their families to ride along – in the 2nd Annual Collinsville Christmas Light Parade on Saturday, December 1, 2018. 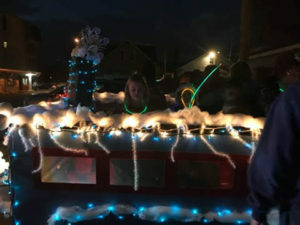 The parade float was a fun project for CMS faculty to spend time together outside of school and do something positive for the community. 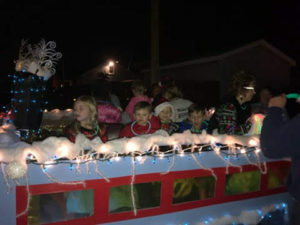 CMS staff and their families rode and walked alongside the float during the parade. 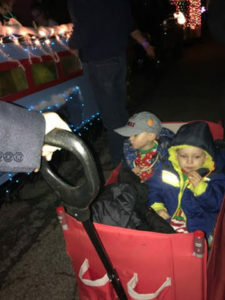 They handed out light-up necklaces and candy along the parade route. 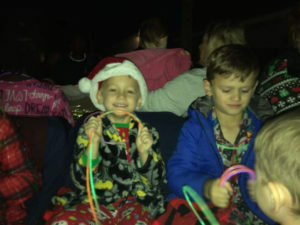 “We had a great time and are already making plans for next year’s entry!” said CMS Educational Assistant Linda Arnold.